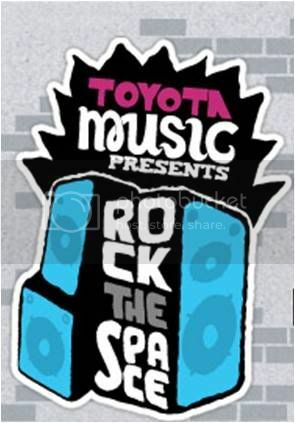 Providing a solid example of why MySpace still has a place in the marketing mix, Toyota unleashes “Rock The Space” – a competition for unsigned bands or solo singers to win fame and fortune in the form of a recording contract and massive exposure on MySpace. The competition is pretty straight forward; bands submit an original MP3, design a demo tape on the site and submit their music. In July MySpace Records will select five finalists and then members of MySpace will vote to select the winner. In a nice twist, the finalists will be given an advertising budget to create and place banner ads on MySpace to help secure votes. The winner will be announced in September and get premium placement on the MySpace Music Home Page. The campaign complements Toyota’s ongoing effort on MySpace – “Toyota Tuesdays” – a day when the company gives away free downloads on its MySpace site. I’m hoping/assuming Toyota has some street teams out and about raising awareness of the competition in bars and clubs where aspiring talent may be performing as well as malls and beaches and concerts where youth will naturally be out and about. Outreach to music blogs and forums would also help drive awareness and traffic. There also have been a number of artists that have been discovered on MySpace, including Colbie Caillat and Lily Allen. It would have been great if Toyota was able to enlist the support of these gals or any of the other discovered talent to leverage in any media relations outreach – providing a credible ambassador for the campaign to highlight the reality of being discovered on MySpace. Overall a good campaign to check out – simple, to the point, spot on with the audience and a solid incentive to motivate bands/artists hoping to make it big to start by rocking the space.